The life cycle of a butterfly involves a few stages before actually flying. It goes from an egg, caterpillar, pupa, to a butterfly. It’s a timely process, however, the caterpillar transforms inside to become a fascinating creature on the outside. This process is necessary for it to become one of God’s most beautiful creations. Additionally, with the proper time to develop it can spread its wings for the first time to soar. I believe we endure similar cycles. As it related to my self-identity, I went through awkward stages as a caterpillar trying to figure out who I was and how I could fit in with society. I eventually progressed to the next phase in my cocoon where I discovered myself. Each point prepared me for my final stage to become a self-assured woman. I learned that there will always be some sort of process as I continuously embark on different experiences. At one point, I cared about everyone’s perception of me. During my adolescent years, people felt the need to put labels on me with gossip and rumors that were generally inaccurate. I became uncomfortable being myself out of fear. It affected me profoundly and I lost myself by not being myself. For example, I tried to make sure that I didn’t seem fast, promiscuous, or wild which were some of the qualities people associated me with, although I knew they weren’t accurate I was determined to show them my reality. In doing this, I placed myself inside a box stifling my growth because I was afraid to be the real me. Unsurprisingly, it was clear to everyone watching. On the other side, God knew exactly what he was doing. All of my efforts inadvertently pushed me to come out of the shell that I was hiding in and find myself. Their questions around my character made me question my character as well. I had to figure out what led them to their beliefs and decide what needed changing and what was simply beautiful as it was. I learned to love myself despite my many critics and their opinions. I identify this as the cocoon stage right before I blossomed into a confident woman. Afterwards, I emerged to a higher place of peace and self-acceptance. Who God called me to be is far bigger than any box others have placed me inside. I realized that I was hiding a beautiful soul that needed to fly. My transformation was a pivotal point and a necessary step into womanhood. I discovered myself and it was an enlightening and life-changing period. Now, I am comfortable in my skin with respect and honor to God’s will for my life. Most importantly, I am who God says I am and people’s views of me are not always his. If I didn’t find time alone where I was forced to face myself, I would’ve missed out on the life God intended for me to enjoy, functioning as a secure woman. It was crucial for me to work on myself on the inside so I could grow to become beautiful on the outside. How could I fly and soar with a broken wing or would I have fully developed if I didn’t spend enough time in my cocoon? Allow yourself to go through all the stages God designed specifically for you, in his perfect timing. Not doing so could prevent you from flying. Each phase is equally important to your evolution. Until you grow internally, you’ll never reach your full potential. I urge you to truly grow in your current stage because soon enough it will be time for you to fly. Thanks Vernee! Glad this made your fav list 🙂 I appreciate you and your continuous support. Amazing post and timely, as usual. It always does well to remember that our previous experiences have prepared us for the present and perhaps even the future. Thank God! Thank you Lana! You’re right, what’s happening now prepares us for tomorrow. We need today’s lessons! I love this! 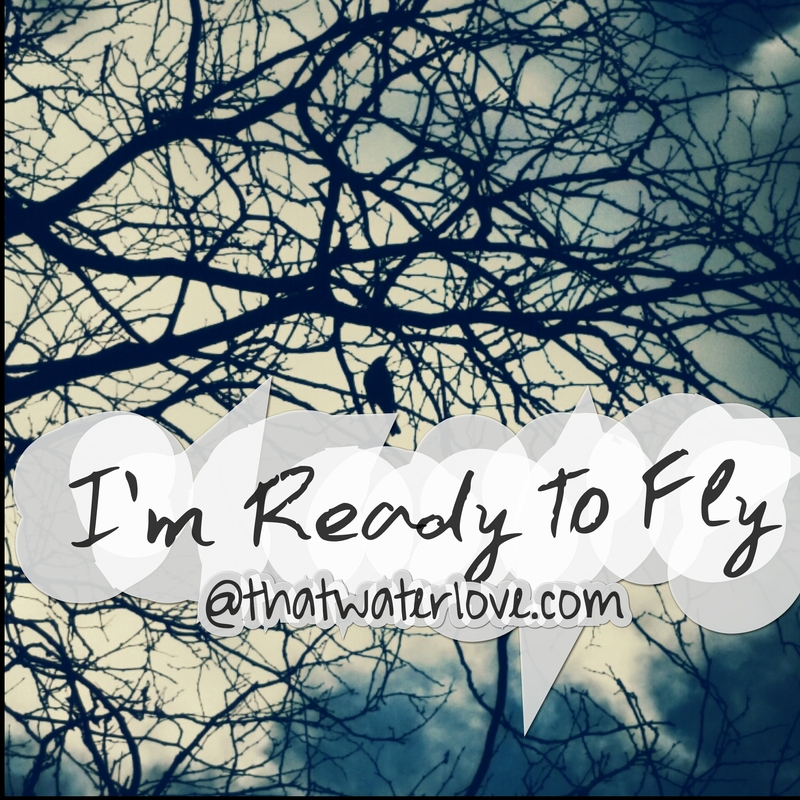 Ready to fly,finished my cocoon process, and open for what God has. Keep speaking his word and making it clear. Nesha! I’m so glad you made it to check out the blog! You know I can identify with those awkward years from elementary to high school. But all of it made us stronger as it should’ve. Thank you & please come back for more LOVE! Thanks again Tati! Let’s fly together, we’re ready! Definitely loved this post! So many times we look back on our past thinking itwas better. The past is our comfort zone. The future is full of the unknown. You never know if it’s gonna be better if you don’t give it a chance. Trusting God and His timing is the only way we’ll be able to truly see a better and brighter future. Great read! You’re right Gina! We fear the unknown but that’s where trust comes into place. Growth comes out of comfort zones. Thank you as always for your support!